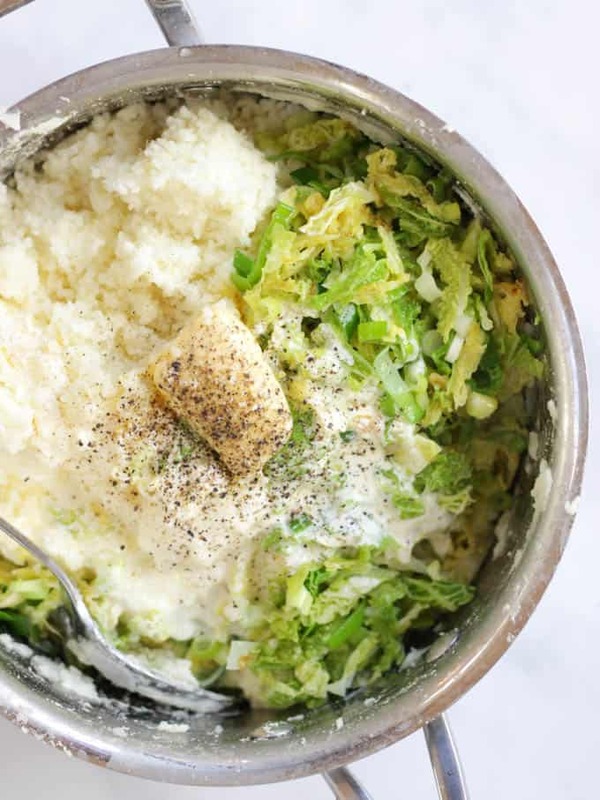 Colcannon Recipe – Delicious, light and fluffy mashed potatoes with spring onions (scallions), cabbage, cream, plenty of butter and seasoning. Topped with chives, this Irish potato recipe is the ultimate comfort food side dish. Seriously though, is there anything better than a bowl of buttery, creamy mashed potatoes on a cold day? There’s something so comforting about a bowl of steaming mash potato. 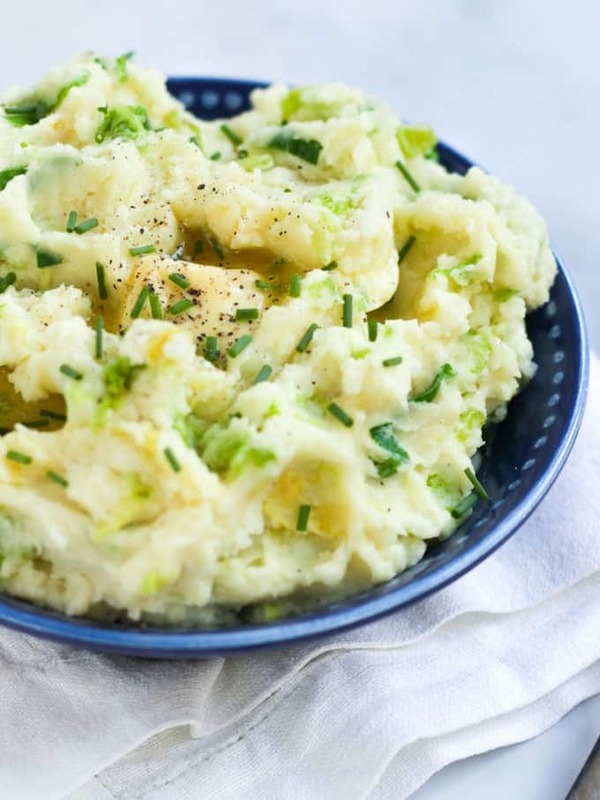 In Colcannon, potatoes have added cabbage, spring onions (scallions) and plenty of butter to make delicious Irish Mashed Potato. This classic recipe is also a winner with children in my experience, because hidden vegetables are always some of the best veggies right? How do you make Colcannon? To make Colcannon, start by peeling and boiling your potatoes with some garlic. When cooked through, drain and mash your potatoes. Once mashed, soften your cabbage and spring onions in butter, add to your riced potatoes with cream and salt and pepper. Mix thoroughly and serve immediately. It you’re not serving straight away, you can keep these warm in the oven so they get a delicious crispy top. Which are the best potatoes for mashed potato? Yes. According to Wikipedia Colcannon is Irish. 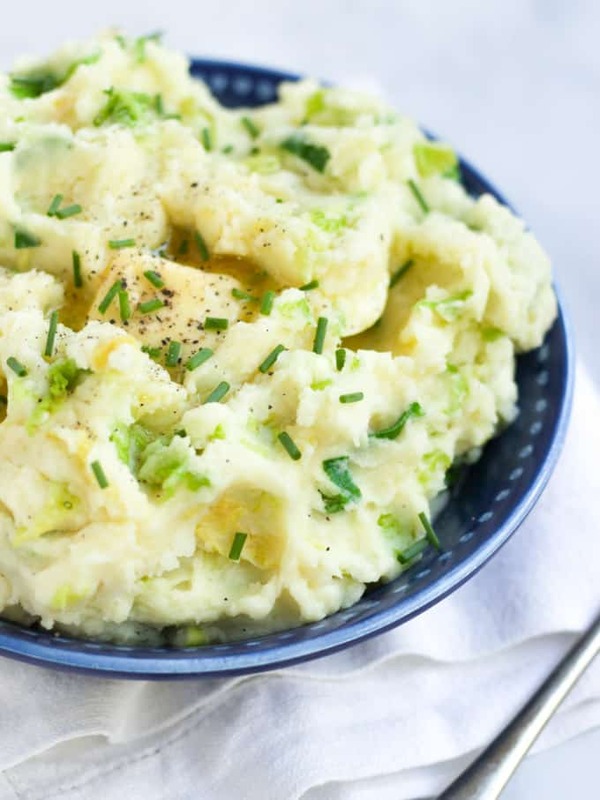 What’s the difference between Champ and Colcannon? Champ is mashed potatoes with chopped spring onions (scallions) and milk. Colcannon is Champ, with the addition of cabbage and sometimes some herbs. What is a Colcannon cake? Colcannon cakes are made with leftover Colcannon, shaped into patties or even one large cake to fill a frying pan. Shape the leftover Colcannon, coat in flour and fry until crispy all over. 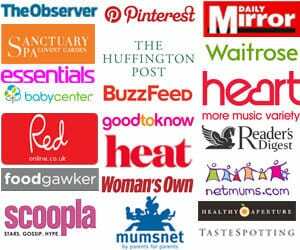 They are absolutely delicious – please try them if you have any leftovers! They are a bit like Bubble and Squeak and are perfect served with crispy bacon and a poached egg. 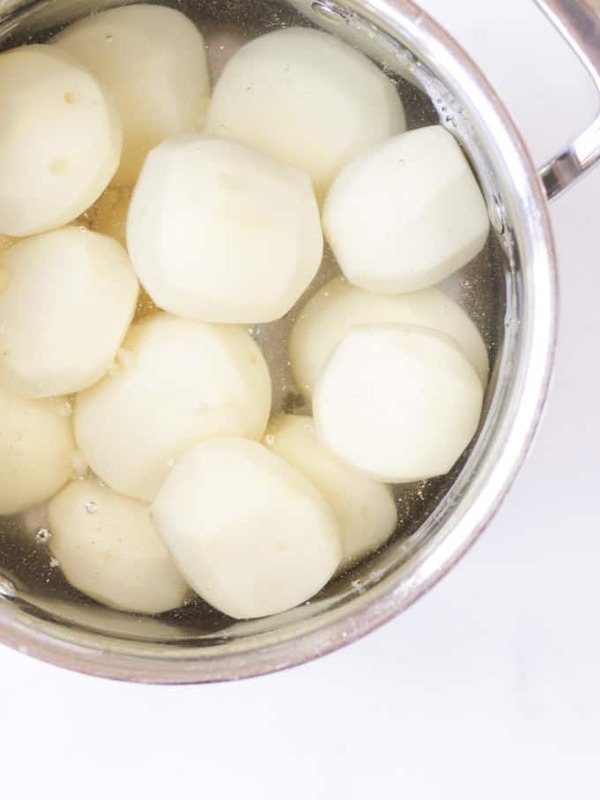 For mashed potatoes, always start your potatoes off in cold water and bring to the boil, so that the water starts to make it’s way through them as it warms. Meaning you don’t get a soggy over cooked outside of the potato before the inside is cooked. Don’t over mash your potatoes! (See my note above about gluey potatoes.) 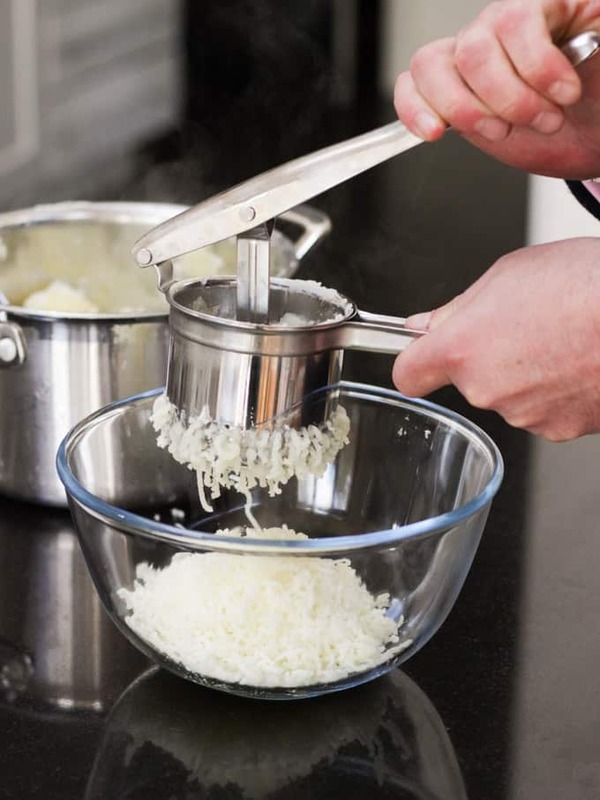 I like to use a potato ricer to avoid this problem and get perfectly smooth mash every time. Any leftover Colcannon can be frozen when cold, used to top a Cottage Pie or used to make Colcannon Cakes (mentioned above). Fancy some other easy and delicious side dishes? How about my Garlic Parmesan Crushed Potatoes or my Braised Red Cabbage? Hope you enjoy this recipe as much as we do. 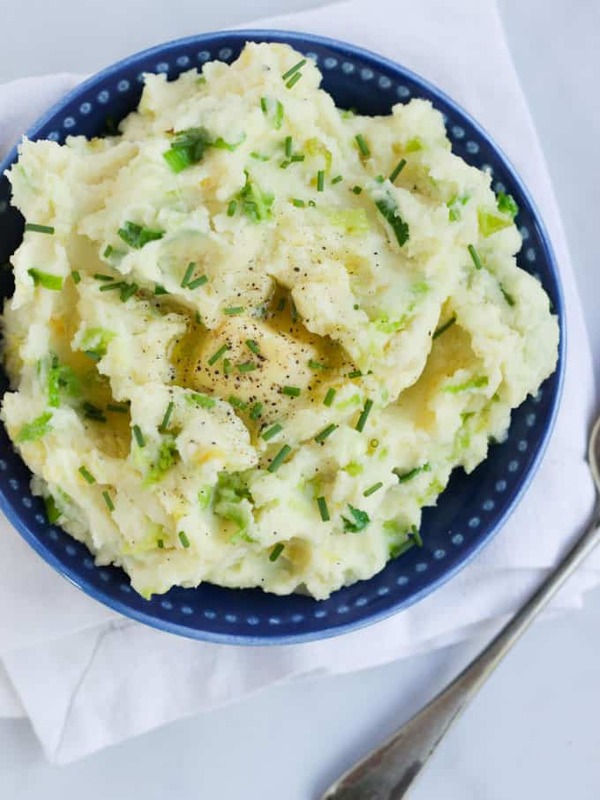 I’d love to know how you got on and what you thought of it if you make this Colcannon Mashed Potatoes recipe. Please rate the recipe and leave me a comment below if you do. 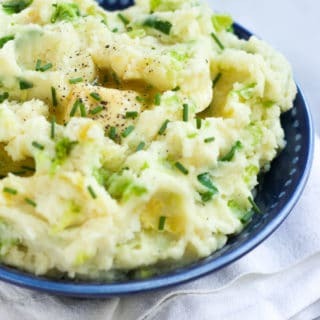 Colcannon Recipe - Delicious, light and fluffy mashed potatoes with spring onions (scallions), cabbage, cream, plenty of butter and seasoning. 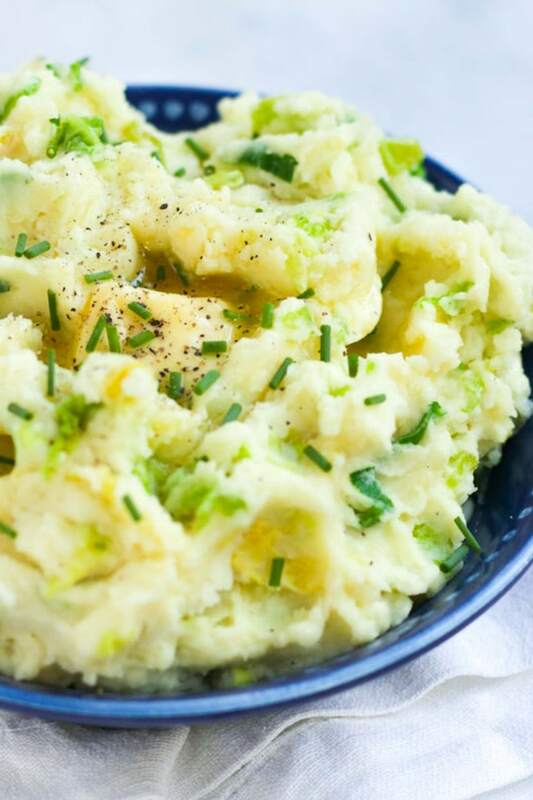 Topped with chives, this Irish potato recipe is the ultimate comfort food side dish. Boil the potatoes with the garlic for 15 - 20 minutes until cooked through. While the potatoes are cooking, melt 100g of the butter in a small frying pan and saute the cabbage and spring onions for 3 - 4 minutes until softened. Drain the potatoes and mash (leave the garlic in). Add the cabbage and spring onions (including the butter they were cooked in) to the potatoes. Meanwhile warm the remaining butter and cream until the butter is melted (I do this in the pan I fried the cabbage in). Add to the potato and cabbage mixture. Add the chives and plenty of salt and pepper and stir until throughly combined. Serve immediately with extra butter and chives to garnish.